ALL SPORTS ALL THE TIME!!! 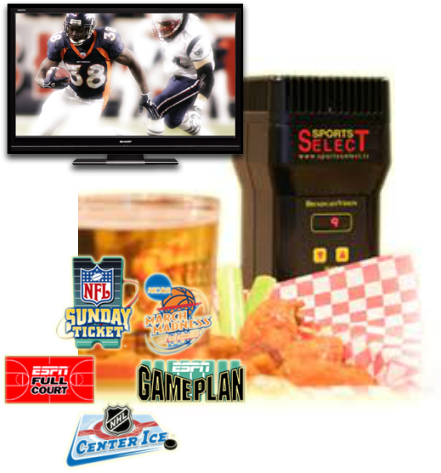 The 'Wood is here to give you all you need when it comes to watching sports while enjoying your time on vacation. We carry every NFL match-up, a full college line up, and with your own personal sound system at each table and all of our games screened in HD, there isn't a bad seat in the house! Where else can you have breakfast for the first game and wings during the afternoon match-ups? Only at the Haywood Cafe! Get in here and celebrate another heart-pounding, bone-crunching football season with us! Visit us for Happy Hour M-F 3-6pm! !